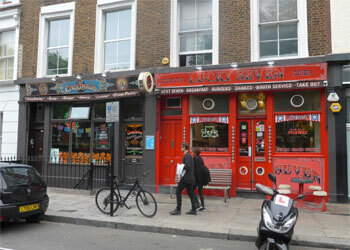 The property is situated on the southern side of Westbourne Park Road, close to the junction with Chepstow Road close to a number of successful restaurants and bars including The Cow, The Westbourne, Marianne and the Napoleon Bonaparte. View location map. The property comprises two adjoining and interconnected ground floor and basement restaurant units currently providing some 106 Covers together with the usual kitchen and storage facilities, together with a self contained, two bedroomed residential maisonette above no 127 Westbourne Park Road, which may be let separately. Current combined rents of £82,000 per annum exclusive however we are advised that the maisonette is currently underlet at a rent of £27,300 pa. thus giving a net effective rent of £54,700 per annum exclusive. The properties are held under two full repairing and insuring leases which both expire on 14th August 2017. The freeholders have indicated a willingness to discuss terms for a new lease at this stage. A premium of £50,000 is sought. Each party to bear their own legal costs in connection with the assignment; assignor to bear landlords costs in connection with any licence to assign; incoming tenant to bear landlords costs in connection with any Licence to Alter. An EPC has been commissioned and will be available on request. The local authority has verbally informed us that the rateable value for the premises is £48,250 and the rates payable for the current year ending31/03/17 are £23,401 Interested parties should make their own enquiries and confirm: - City of Westminster business rates department 020 8315 2050. The properties are not currently VAT opted.